Following the tips given here should help keep your lawn in good condition. A healthy and properly cared for lawn will resist weeds and other pest problems! The best approach to turfgrass fertilization is to sample your soil and have it tested.Fertilize with phosphorus, potassium and lime as indicated by the test results. Once these nutrients are brought to their ideal level (preferably at time of establishment), grass growth can be controlled with nitrogen fertilizers. Continual fertilization with a fertilizer such as 8-8-8, 13-13-13 or other complete fertilizer can result in excessive costs, extra labor and too much phosphorus in the soil. Excessive phosphorus may result in a decline in turfgrass quality, especially in centipede grass.Table 1 shows the recommended range of nitrogen fertilization. If you use a fast-release nitrogen, such as urea or ammonium nitrate, apply no more than 1 pound of actual nitrogen per 1,000 square feet. You can achieve this proportion by using about 2 pounds of urea (46-0-0) or 3 pounds of ammonium nitrate (32-0-0) per 1,000 square feet. Higher rates of nitrogen with a fast-release source will result in excessive grass growth, may "burn” the grass, build thatch and can predispose the grass to pest damage. Slow-release nitrogen may be put on at higher rates because of its time release factor. Table 2 contains suggested fertilization schedules. Nitrogen fertilization is usually wasteful and may harm warm-season turf if applied in the months indicated with X. * These N applications may be eliminated if color and growth are satisfactory. Slow-release nitrogen sources can be applied at higher rates without fear of burn and, because the nitrogen is released slowly, usually will not cause a sudden flush of growth. Slow-release nitrogen costs much more than fast-release nitrogen, but you reduce labor costs (or time) because you need fewer applications. A fertilizer containing 100 percent of a slow-release nitrogen usually is not available; however, fertilizers containing about 50 percent fast- and 50 percent slow-release nitrogen are common. Rates and frequency of nitrogen fertilizations should be determined by the color of the grass and rate of growth desired. 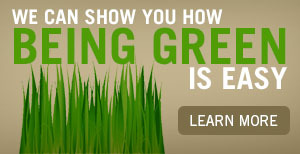 Remember, however, that some species like centipede and carpetgrass are naturally light green. To determine the amount of a particular fertilizer needed to supply 1 pound of actual nitrogen per 1,000 square feet, you must read the chemical analysis on the fertilizer bag. The analysis is in the form of three numbers: for example 27-3-3, 8-8-8, 24-6-12, 38-0-0, 0-0-62. The series of three numbers refers to the percentage by weight of nitrogen (N), phosphate (P2O5) and potash (K2O), in that order, in the fertilizer. Dividing the first of these three numbers into 100 gives the number of pounds of fertilizer needed to supply 1 pound of nitrogen. Therefore, 12.5 pounds of 8-8-8 will supply 1 pound of nitrogen (100 divided by 8 = 12.5). These numbers can be rounded off to the nearest pound, so 12.5 can be rounded to 12 or 13. If using a drop spreader, use a single pass walking at a medium-fast but continuous rate. Allow the inside wheel to run in contact with the material just spread in the last pass. In this way the edge of one drop width comes in contact with the edge of the next. Broadcast spreaders have heavy spots and thin spots in their broadcast patterns. To minimize heavy and light bands on the lawn, walk at a medium-fast but continuous rate. Apply broadcast materials at half the rate and cover at half the swath width. For example, if your effective swath width is 10 feet, set the spreader to broadcast at one-half the output and overlap the area in 5-foot swath widths. Always apply fertilizers when the grass blades are dry, and then water in. On soils that have a moderate level of potassium, the equivalent of about 1 pound of potash per 1,000 square feet is generally needed in spring and in an early September application. This can be applied with or without a half-pound of nitrogen per 1,000 square feet. A September application is needed most on sandy soils and may be helpful on any soil in preparing the grass for winter. Applying potash in the fall is particularly advised when high rates of nitrogen have been used. Some centipede and shaded zoysia lawns have not regularly received any fertilizer and have good quality. Fertilization of centipedegrass with more than 2 pounds of nitrogen per 1,000 square feet per year can result in decline or death of the grass. One pound of slow-release per year, split into two half-pound doses, is sufficient for good maintenance growth and minimal cutting. Sometimes a darker green may be achieved on centipede grass with frequent applications of 2 or 3 ounces of iron (ferrous) sulfate in water applied to 1,000 square feet. Chelated iron may provide superior results, but it is more expensive. Recently established lawns or thin turf should be fertilized more heavily with nitrogen. After the grass has filled in the voids, less nitrogen is needed. Too much nitrogen stimulates too much shoot growth, reduces root growth and increases thatch formation. Disease, insect, drought and weed problems also may be increased by excessive nitrogen fertilization. Warm-season grasses may be overseeded in October or November with about 10 pounds of rye grass seed per 1,000 square feet for a green winter lawn. The rye will benefit from one or two light applications of nitrogen throughout the winter. Heavy nitrogen applications in the fall will cause excessive winter kill of your permanent turf, especially if we have a cold winter or if a sudden hard freeze follows mild weather. Consider the earliest topdressing of overseeded rye about Thanksgiving in north Louisiana (mid December in south). About seven weeks later, the second topdressing can be applied if desired. Retest your lawn’s soil every two to three years. Testing is important because the chemical properties of soil change constantly. In particular, keep the soil’s pH (an index of acidity), phosphorus content and potassium content at levels that promote healthy growth. Too much fertilizer or lime can be as harmful as not enough. So, don’t guess; test your soil. Your LSU AgCenter extension agent can give you information and materials for sampling your soil. Mowing has a measurable effect on the way a grass plant grows. The ability of a grass to sustain itself through frequent close clipping is one factor that distinguishes a grass species as a turfgrass. Grasses such as wheat, corn and oats cannot tolerate the harsh treatment of frequent mowing. How often should a turf be mowed? The rate of growth and the height of cut determine the frequency of mowing. The rate of growth depends on the type of grass, soil fertility (especially nitrogen content) and the weather. Lawns in Louisiana are warm-season grasses. These grasses grow faster and need to be mowed more frequently in the hot summer if moisture is adequate. A general rule is to mow before the grass becomes one and a half times as tall as the cutting height of your mower. Or another way to say this is: Do not remove more than one-third of the grass top at any one clipping. For example, if the height of cut is 1 inch, mow when growth reaches 1½ inches in height. If you continually allow your grass to grow too tall between mowings, a thin, weedy turf may develop. You can decrease the frequency of mowing by:(1) choosing a slower growing turf grass, (2) reducing the rate of nitrogen fertilization and (3) raising the cutting height of your mower. The rate of nitrogen fertilization and the frequency and height of cut are major factors that determine the quality of turf. Mowing height depends on the type of grass, your objectives and your willingness to work. Table 1 shows the recommended range of cutting heights for different grasses. You can achieve a better quality turf at the lower heights, but you will need to mow more frequently, have a more level terrain and need to apply a higher rate of nitrogen fertilization. Most people now mow with rotary mowers. These mowers have horizontal blades that flail the grass and fray the leaf blades. A rotary mower becomes noticeably duller after a few cuts and should be sharpened as needed. Some tough grasses like the zoysia will dull a blade quickly. Reel mowers have clean, scissorlike cuts and produce a better quality turf than do rotary mowers. A reel mower is more difficult to sharpen, but it should require less frequent sharpening. A reel mower may be more expensive, but it is normally more rugged and uses less fuel. Most reel mowers are particularly recommended for bermuda and zoysia grasses. A smooth turf, free of sticks, stone and other debris, is necessary when using a reel mower. Removal of turfgrass clippings is not necessary if you mow as recommended. Research has shown that moderate amounts of small clippings decompose rapidly in warm weather with good moisture. Nutrients in the clippings are recycled with out contributing greatly to the thatch layer. Nitrogen fertilization can be reduced if clippings are not removed. Clippings should be removed if they form clumps on the surface. Clumping normally occurs only if the grass is allowed to grow too high before mowing or if mowed when wet. Zoysia and centipede leaves do not decay as readily as leaves of other grasses, so clippings need to be collected and discarded when growth is rapid – especially with zoysia. To maintain a healthy green lawn, the grass must have a continuous supply of water. When drought comes, grass stops growing and may enter a dormant state. Such advanced dormancy is characterized by death of the leaves and a resting state of the growing points. These growing points are found in the crowns, stolons and rhizomes of the turfgrass. When soil moisture levels are increased to favorable levels by rain or by irrigation, the growing points start the growth of new leaves and stems. Of course, brown turf caused by drought is not desirable, but it is some consolation to know that grass can usually survive without irrigation. You can avoid dormancy and discoloration by irrigating as needed. If done improperly, however, irrigation can create problems. In general, 1 or 2 inches of water are needed per week in times of drought to keep turfgrasses actively growing. Use sprinklers that provide uniform coverage. During dry periods, water established lawns only once or twice a week with at least 1 inch of water each time. Light, frequent waterings wet only the surface of the soil and may result in shallow roots and a weak turf. The best time to water is in the morning. It is safest, from a disease standpoint, not to keep a grass wet all night long. Contrary to popular belief, watering during the day will not ‘scald’ turfgrass. The shallow-rooted centipedegrass is very responsive to irrigation when conditions are dry. Thatch is a layer of living and dead grass plant parts and clippings located between the soil surface and the green vegetation. Thatch is normally a problem only on zoysia, but St. Augustine, centipede and Bermuda do develop serious problems if not on some thatch control program. A thin layer of thatch is desirable because it insulates the soil, cushions the crowns of the grass from damage caused by foot traffic and reduces water loss from the soil; however, thatch may accumulate faster than it decomposes when lawns are overfertilized, overwatered, mowed too infrequently or mowed too high. Excessive thatch (over 3/4 of an inch) creates many problems. Turf plants begin growing in the thatch instead of the soil. Insects and diseases thrive in the thatch environment. Water and fertilizer cannot move well through the thatch. The puffiness of the thatch can cause the mower to sink into the thatch layer and scalp off the grass. Excessive thatch may increase winter damage and drought susceptibility, too. The rate of thatch accumulation can be decreased and controlled by lowering the fertility rate, watering properly and by following correct mowing practices. By applying an annual light topdressing of soil or sand 1/4 inch thick, you can reduce thatch problems. At this rate, you will need 3/4 cu. yd of soil to topdress 1,000 sq. ft. When the thatch layer exceeds 3/4 of an inch, dethatching is in order. You can remove thatch by using a specially designed hand rake, power rakes, vertical mowers and core aerifiers. This equipment, with exception of core aerifiers, may be rented from most rental stores.The core aerifier punches small holes through the thatch and into the soil. It deposits these soil cores on the turf surface. This soil can be incorporated back into the turf by raking and is desirable since soil helps in thatch degradation. The holes created by aerification allow immediate penetration of fertilizer, water and air — all of which also contribute to thatch decay. In heavy and compacted soils, sand may be spread and washed into these holes to reduce future compaction. Core aerification can be contracted through some lawn care services.